Some of the greatest cheeses in the world are made only in the summertime in the gorgeous high elevations of the French and Swiss Alps. Gruyère, Beaufort, Appenzeller, Comté all come to mind. In a process known as transhumance, cows are allowed to graze on mountainous pasture at higher and higher elevations as the snows melt in the warm weather. The cheese itself is made right there on the slopes in little stone huts. The lush array of herbs, grasses and wildflowers in the alpine meadows make for some of the greatest tasting cheeses in the world. 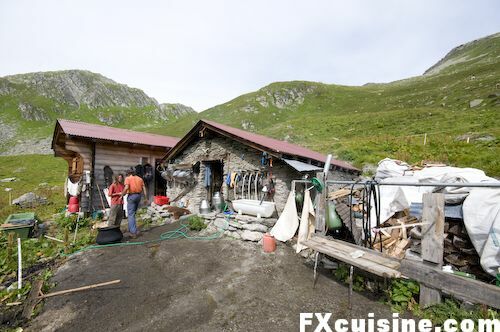 This process has been beautifully chronicled on FXCuisine.com, with a stunning high-resolution photo essay of the wonder that is alpine cheesemaking.